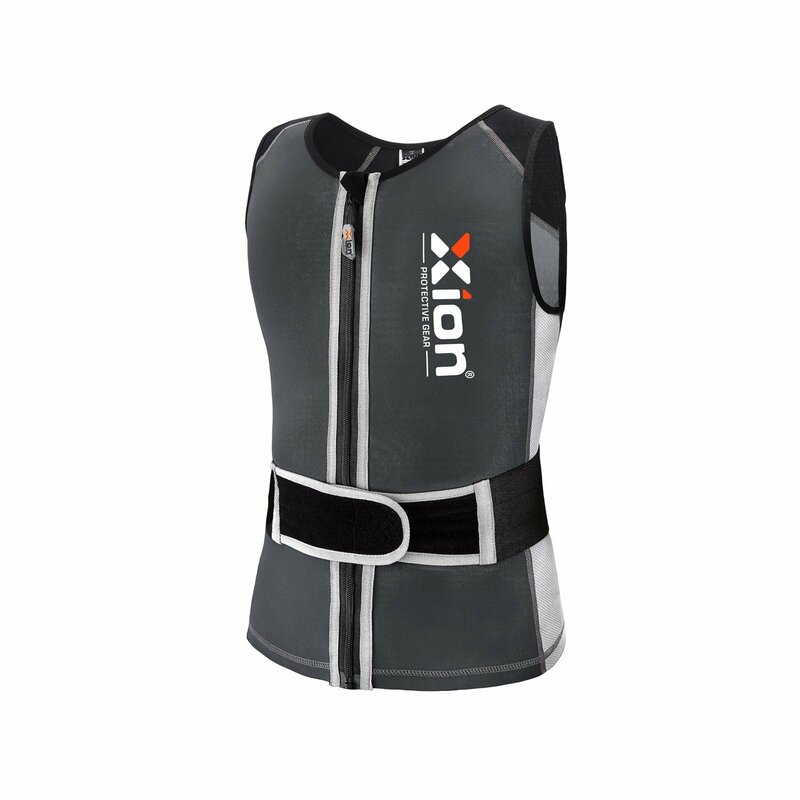 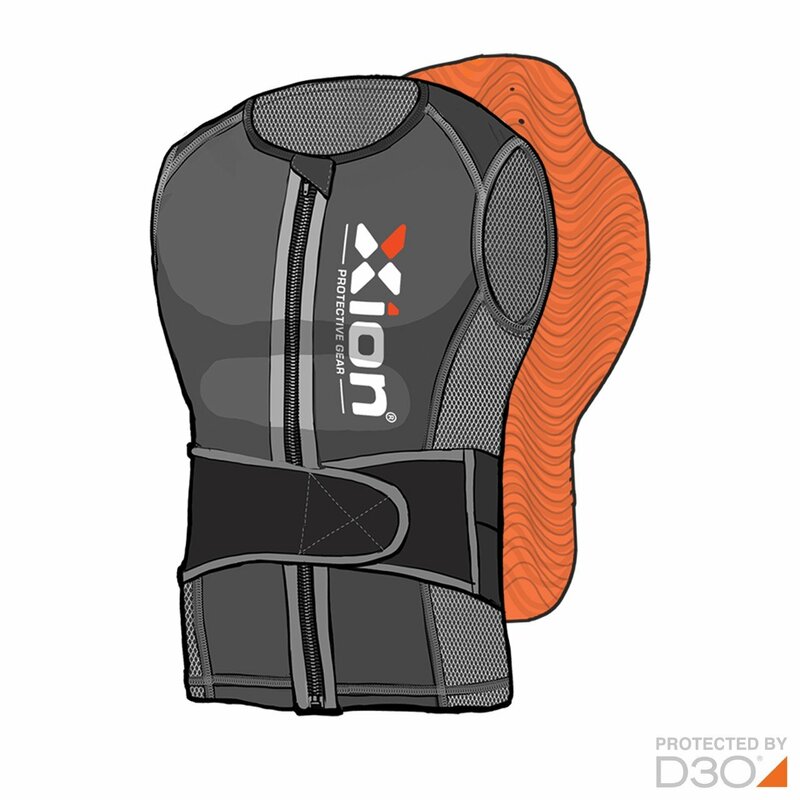 The XION® Junior Back Protector Vest FREERIDE is designed as a low profile yet comfortable back protector garment for any sports activity where protection of the spinal area is required. 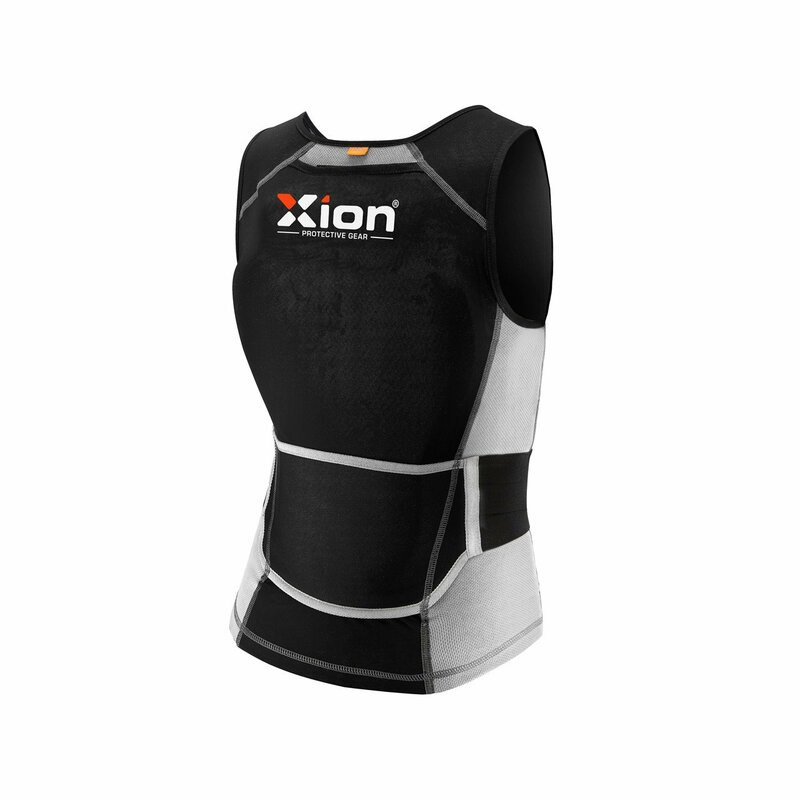 4-way stretch fabrics and breathable mesh panels ensure a comfortable fit. 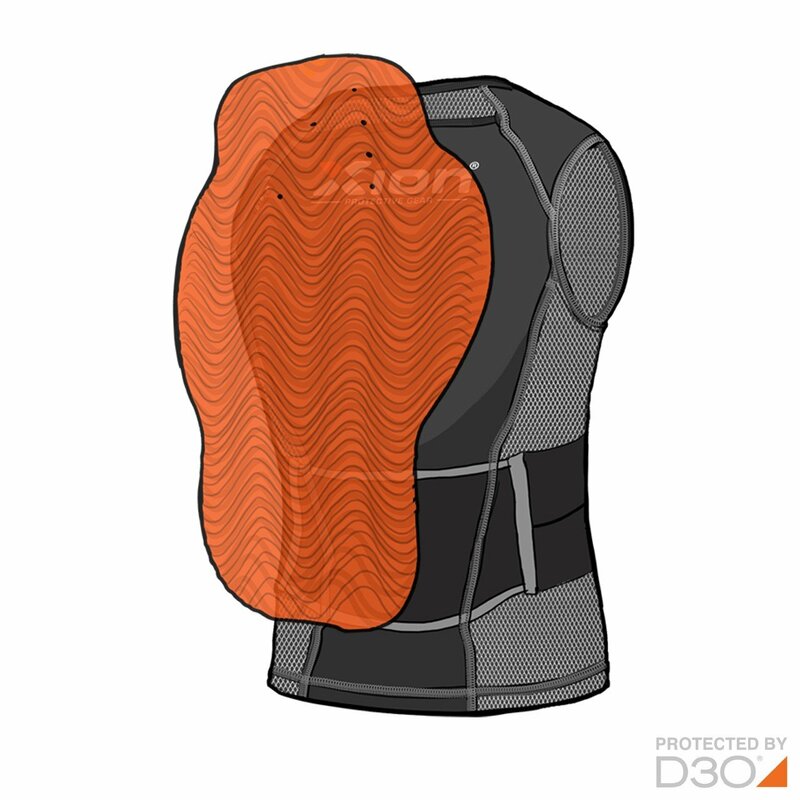 An adjustable waist belt keeps the D3O® back protector in place (torso 40-44cm). 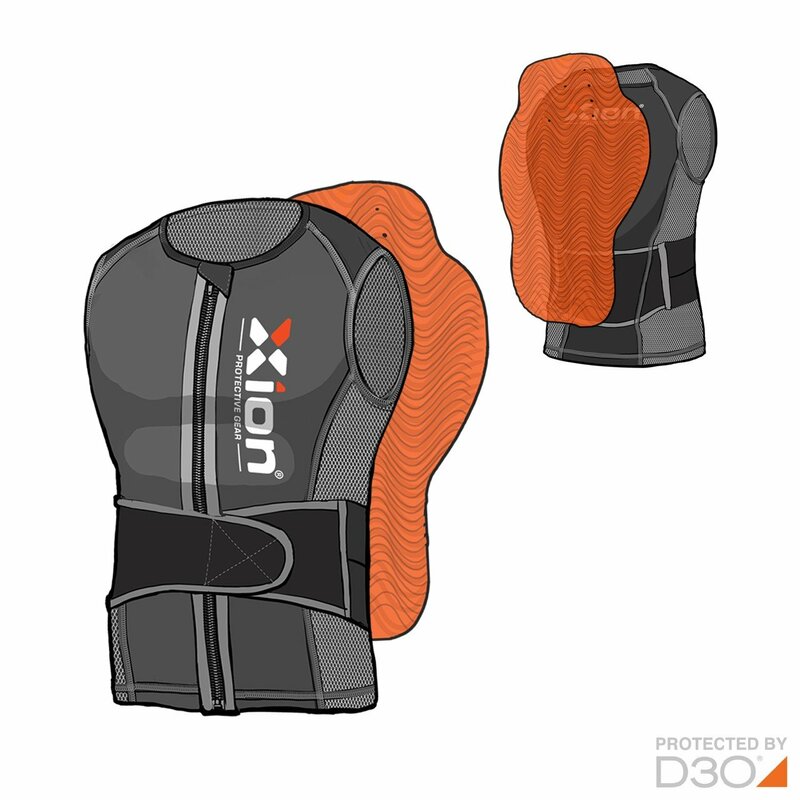 Our Junior Back Protector Vest is specifically designed for the young “stunt-minded” boys & girls who are showing some grown-up tricks and offers the same professional D3O® protection as our regular products in a smaller size.